2. 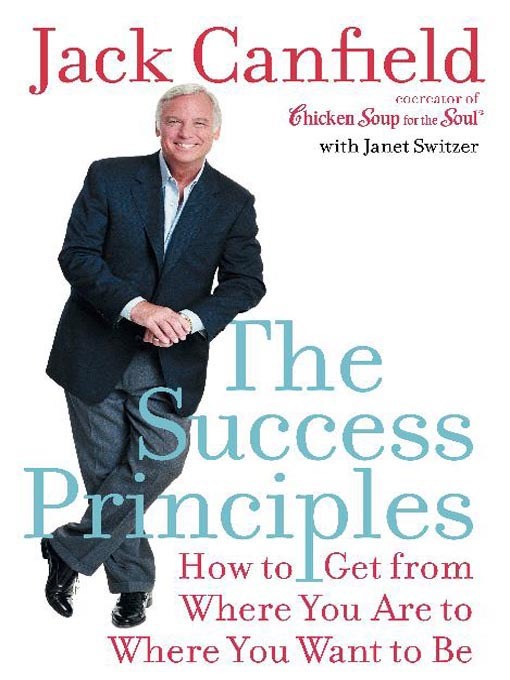 The Success Principles, by Jack Canfield. I initially listened to this on Audible.com and the first 15 minutes – when Jack discussed taking 100 percent responsibility – literally changed my life. It had such an effect on me that I have gifted the book to everyone in my company and have purchased many extras to give to those who visit my office. I recommend first listening to it from Audible.com as Jack does such an amazing job reading the book. 4. Regular Journaling. Taking time each and every day to put my thoughts down in writing has been integral to my success. I have used physical journals (7 to date), email, and a free online software called FrameofMind. Each has its benefits: with writing in the journal there is something about the free flow of the pen that allows my thoughts to flourish easier; with email, it is just always there and I can easily send it to anyone; and with the software, you can get comments and work with a coach and others in the community. The key for me is not to think but to do a brain dump of my thoughts for the day. What did I accomplish? How do I feel? What are my challenges? It is amazing how fast one train of thought connects to another once you start writing. I have come up with some of my best plans through journaling and it has also enabled me to remain focused and energized. Journaling is “exercise” for your mind, which is necessary as much as it is for your muscles. 5. Listen to Tony Robbins. I bought a Tony Robbins program as a gift for a friend because I knew he loved Tony. He gave it to me when he was done and I couldn’t believe what an amazing effect it had on my perspective. The 30-day program “Unleash the Power Within” is by far the most expensive option, but in the scheme of things, it is well worth it. There are also a lot of free Robbins videos on YouTube, but I believe that option pales in comparison to committing to the entire program. It is not just about what Tony says — it is the way he says it and the exercises he gives you to do.